MLC Health Group Marwan Chahayed, D.C.
Dr. Marwan Chahayed treats patients in the San Fernando Valley area at MLC Health Group in Reseda, California, who have suffered personal injuries. He specializes in chiropractic treatments, orthopedic rehabilitation, and treatment for sports injuries. 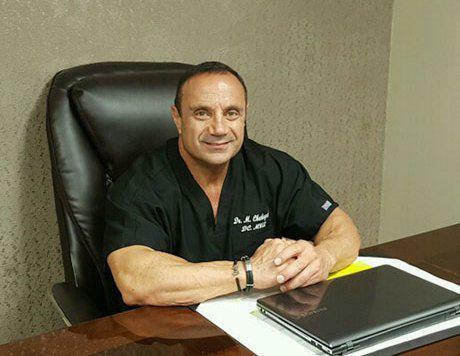 He utilizes advanced chiropractic techniques with the assistance of high-tech modalities and cutting-edge technology such as cold laser therapy, advanced pain management, platelet rich plasma treatment, and more. His goal is to help patients in their recovery so they can resume their normal daily life. Dr. Chahayed has received special training in manipulation under anesthesia, nutritional counseling, sports medicine, and pain management, as well as in chiropractic techniques such as diversified chiropractics, Gonstead, drop table, and S.O.T. Dr. Chahayed is very involved in his community as a choir singer, regular blood donor, soccer teams coach for his kids, and coach to several athletes and competitors in the fitness field. He participates in programs that provide pro-bono services for patients who can’t afford health care. 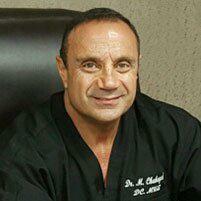 Outside of the office, Dr. Chahayed is an avid weight lifter and body builder, and enjoys scuba diving, traveling, and playing racquetball. He has a fun-loving family and proudly teaches his kids good values with an emphasis on education and continuous learning, enjoying different hobbies, and always keeping a positive attitude. We use advanced chiropractic techniques with the assistance of high-tech modalities for pain management like cold laser therapy, PRP (Platelet rich plasma) treatment, and many more. We take all PPO out of network only. Please contact your insurance company to verify coverage and access. Eligibility and coverage may vary by plan and services performed. Please call the office to verify network participation.